There is always something exciting happening at Hard Rock Cafe Washington DC! From local live music to special offers, our Event Calendar is a great way to get the insider scoop and first look at upcoming happenings. 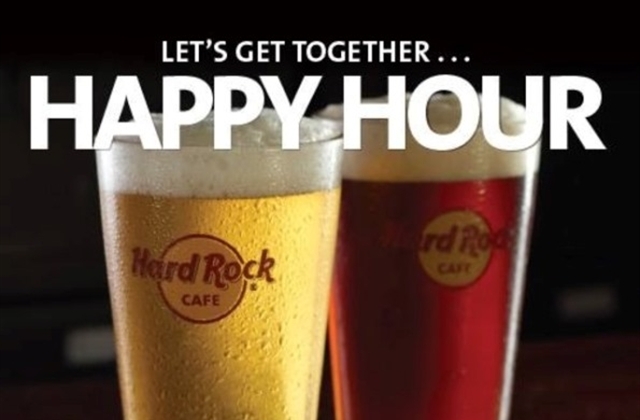 Join Hard Rock Washington DC for the best Happy Hour In town! Monday - Friday, meet us at the BAR! $3.00 Draft Beer, $4.00 Select Wines and $5.00 Featured Cocktails.